Come visit us at Maker Faire Bay Area May 19-21st 2017! Here is the official Maker Faire Project page. Bring project-based 21st century learning, maker spaces, coding, robotics, and design thinking to students. 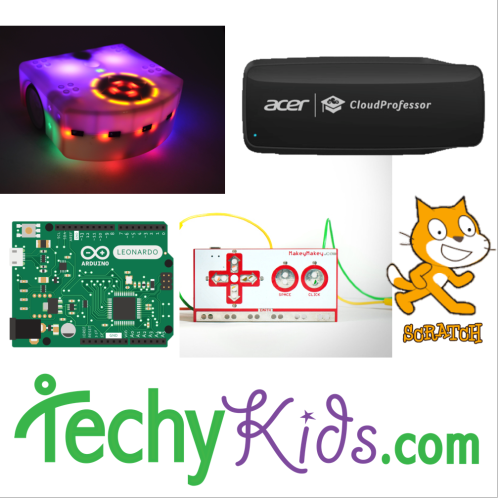 TechyKids offers a web solution developed over many years in the classroom for various Maker Products to integrate into the classroom. We have some very new and awesome things for schools! New maker tools, new courses, and a brand new platform for teachers and schools!